Thanks to a meager, but curiously steady number of hits from around the world, I feel compelled to resume my blogging efforts. I know this is the age of Internet, but it is nevertheless thrilling to have my modest blog viewed by readers hailing from Spain, South Africa, the Netherlands, United Kingdom and the United States… and that’s just today’s views. I can’t sit idly by and neglect my international audience any longer! Forgive me, dear reader! My passion is also renewed thanks to my discovery of Edward Fitzgerald’s translation of Omar Khayyám’s Rubáiyát. This is hardly a discovery; you can find this book everywhere. I know I’ve encountered it before, but for some reason it failed to take hold after an initial browsing — perhaps I dipped into the wrong translation. — “The Quatrains of Omar Khayyám, Three Translations of the Rubáiyát”; translated by Justin McCarthy, Richard Le Gallienne, Edward Fitzgerald. By the way, the Persian word for quatrain (that is, a four-line stanza) is rubái; rubáiyát is the plural. But enough talk: what is the Rubáiyát — what are the Quatrains — about? We’ll get to Omar later. If I were to sum up his message, based on this afternoon’s reading, it is this: Life is short. Death is final. Fill your glass with wine! After this afternoon’s reading, I grow more convinced of my suspicion that modern poetry lacks vitality. This is memorable, timeless, meat-and-potatoes poetry, that despite some archaic words, would stir the soul of any man, no matter how simple or uneducated, because it addresses the pain of existence, instead of paining us with postmodern poetastery (Okay, that’s not quite a word). 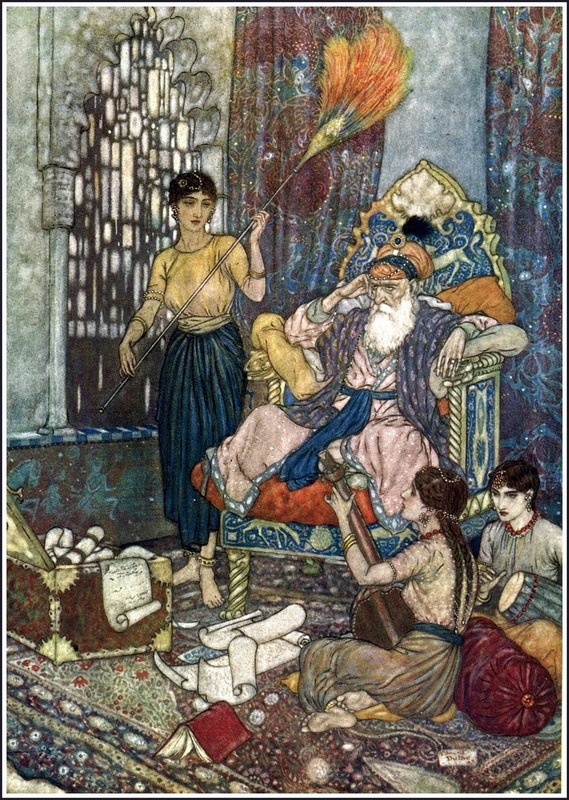 Khayyám is from the 12th century, Fitzgerald’s first edition was published in 1859. Of This and That endeavor and dispute?